A canteen favourite for over 20 years, Enrico’s Besta Pasta is a Healthy Kids registered green product. 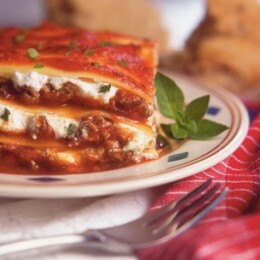 Varieties include Lasagne, Ravioli, Macaroni Cheese, Vegetable Lasagne, Twirls and Spaghetti. Made using 100 per cent Australian beef and durum wheat pasta, it’s easy to prepare – just heat and it’s ready to serve. Enrico’s Besta Pasta is a good source of dietary fibre and protein and contains no added MSG. It’s Australian made and owned and comes in a 220g serve size.